ince it was founded just a couple of years back, in 2014, Koln Studio fronts every type of project. “We work for institutions, businesses and private customers in projects on different scales” says the design team of Koln, based in Madrid. “Our aim is to offer global and lasting outcomes, working from the initial idea up to the final production, looking for original and solid concepts that provide a design strategy and enrichment” add Daniel Fuente and Pablo Mariné, the two founding members of the team that took a shot in politics through graphic design. 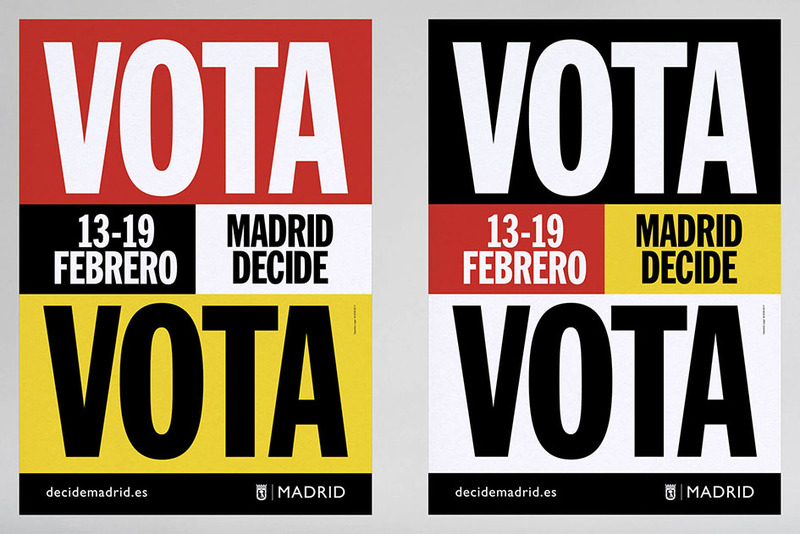 Koln Studio urged the people of Madrid to stand up and vote in the city’s last referendum. Their call to action was a very successful one. 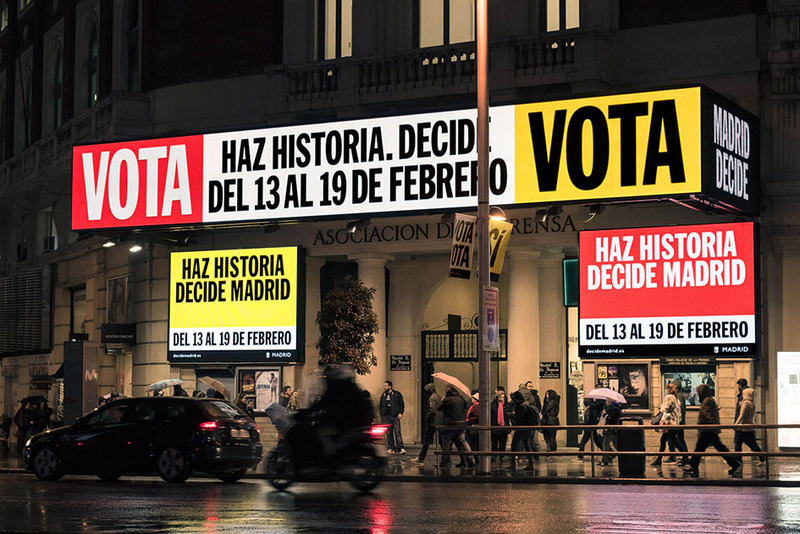 “The City of Madrid aimed to achieve a campaign that was clear, direct and effective in order to gain attention from the citizens and participate in the first public vote in Madrid” says Koln of the brief of their project. 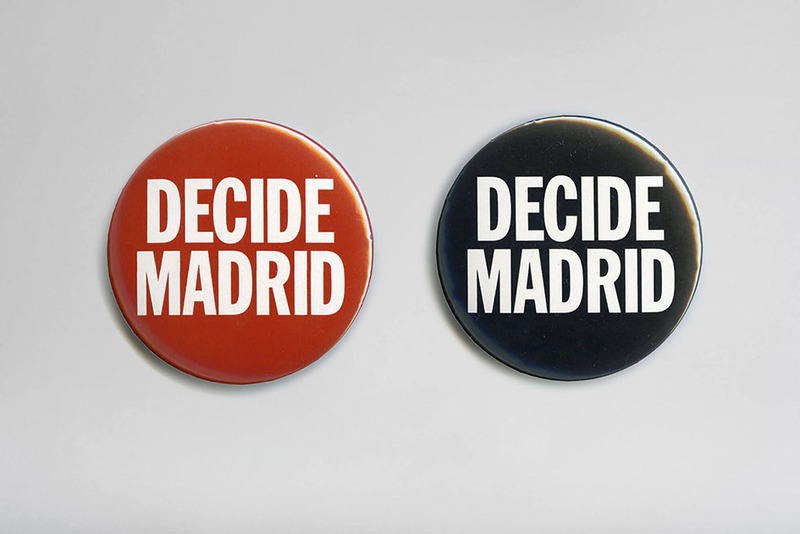 “Our goal was to create material which made an impact and provoked discussion surrounding Madrid’s new ventures. 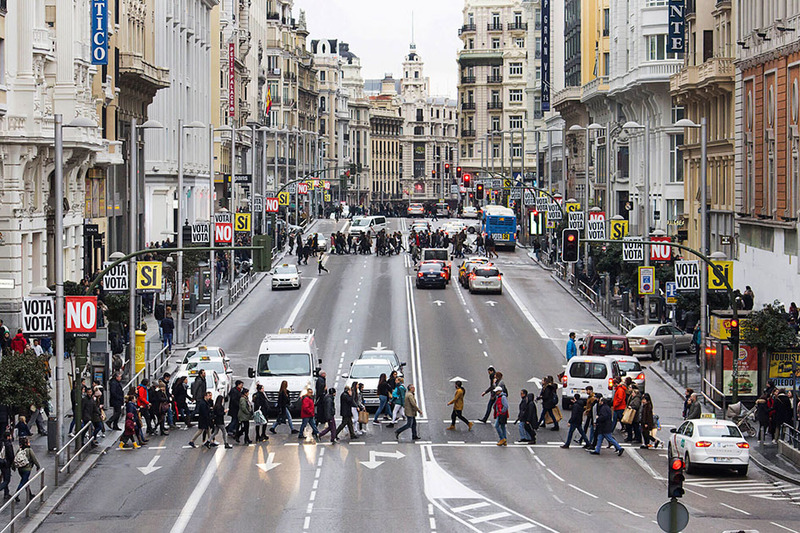 Most of the people in Madrid are unaware of this process so it was important for us to make their first experience of this, as memorable as possible. The City Council proposed that we participate in a competition with 8 other studios to create a proposal for the project, they were looking for a solution which worked well with typography and developed a solid aesthetic throughout their campaign. We were delighted to have been selected for this project as it gave us a great opportunity to see our work so close to home”. “The City Council was clear that it did not want to stand for or against any of the proposals, they were mostly interested in getting the public to participate in the vote, wether it be ‘yes’ or ‘no’, but also to take an interest in the voting process. In this sense the concept was clear; vote yes or vote no but VOTE” they add on their development of the concept. Yet how could one ensure that the campaign would present the referendum clearly and in a neutral way? “From this idea we proposed to fill the city with VOTE YES, VOTE NO, VOTE, VOTE, VOTE. Our aim was to repeat this four worded letter and present a clear message which was big enough to attract the public’s attention. From the beginning of the project, we felt we understood Nacho Padilla, the Creative Director of Madrid City Council, with whom we agreed on everything and developed a really successful working relationship. This allowed us to have the freedom to explore ideas and experiment across all formats. 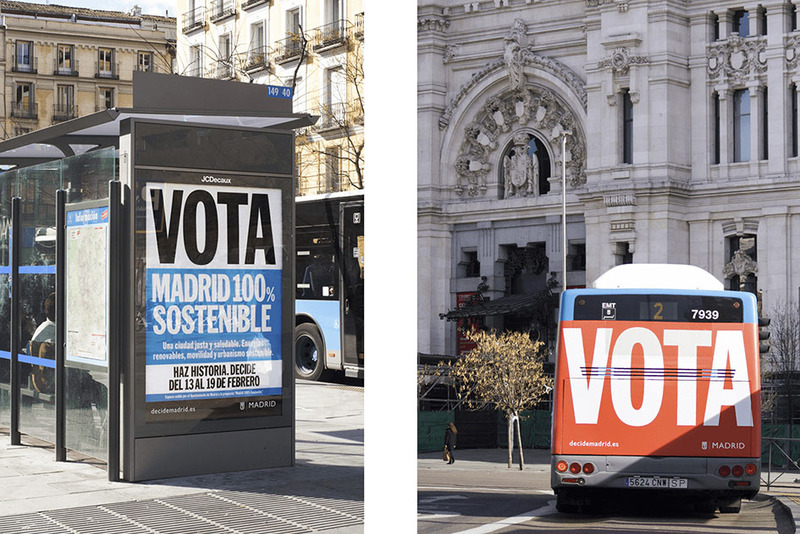 Speaking of the obstacles Fuente, Mariné and their team had whilst producing the campaign, Koln Studio says that “the main challenge was to communicate the idea successfully and to make sure the campaign was not lost within all the noise and information that exists in a big city like Madrid. The goal was, to call to action and get as many people to participate in this campaign as possible, for us this was a big challenge however a great opportunity to explore different ways of communicating the message. 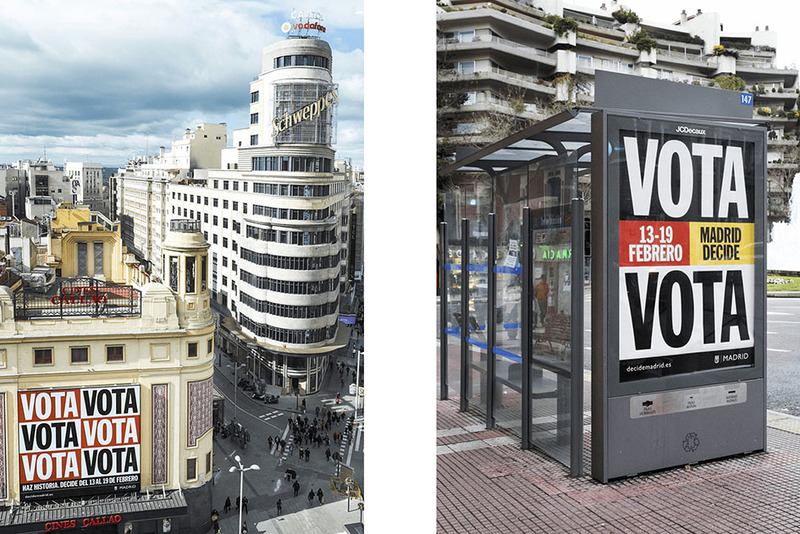 Our outputs included; buses, canopies, screens and the newspapers of the city.. using these outlets allowed us to create a really strong visual impact around Madrid”. 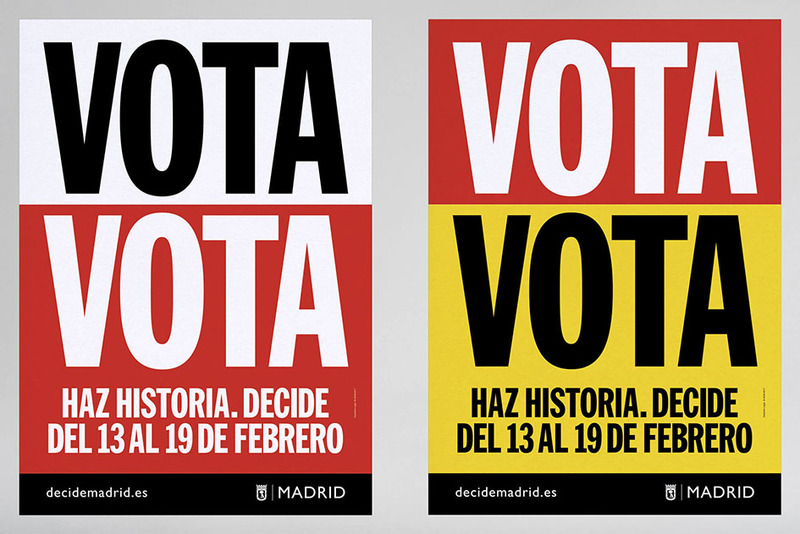 The campaign has ended with the results already been published with a participation of 214,000 people in total. “This is still a moderate figure (9% of Madrilenians) however on this occasional we feel this figure is optimistic in comparison to other campaigns. 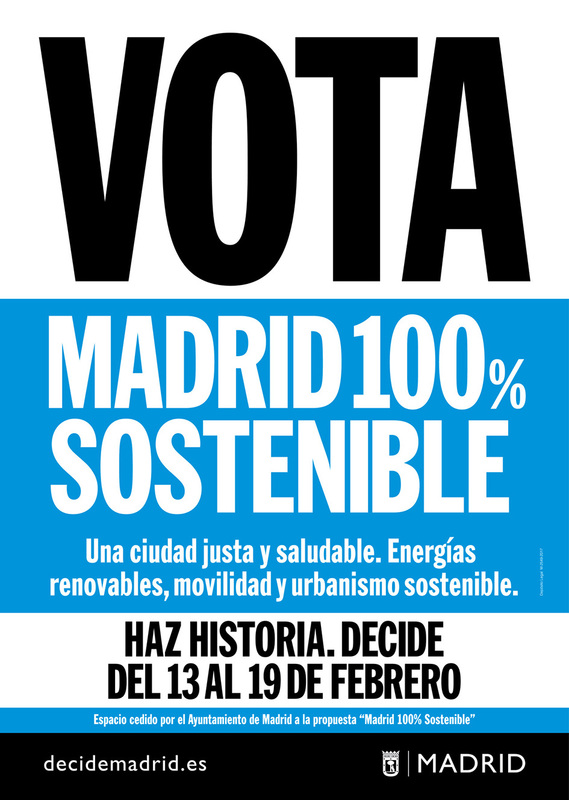 The project will grow and we are sure that the citizens of Madrid will gradually join this new movement. As for the campaign, we believe that it has worked really well and are extremely happy and proud with the result. We feel the campaign has been well received and met the projects objectives, although there are always things to improve! 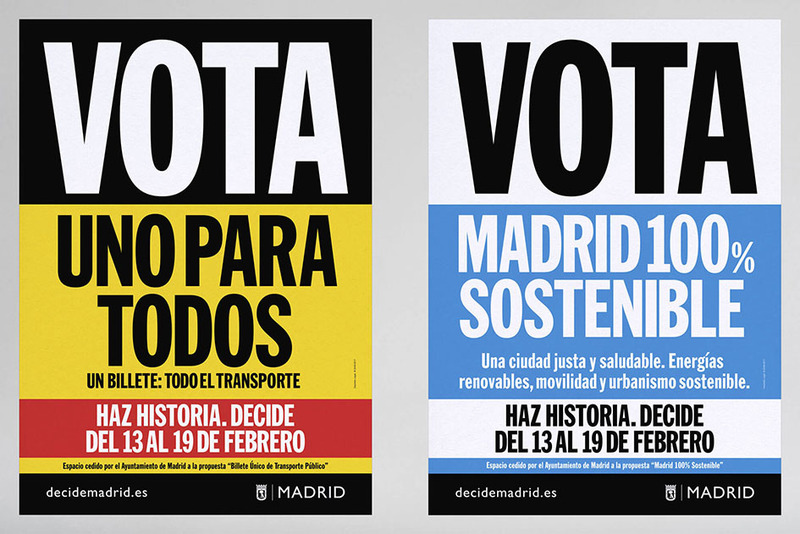 We hope that the project will continue to grow and take form allowing the public to continue voting and improve the future of Madrid” says Koln. “I think this type of work really fits within our style” says Koln. “When asked to deliver the campaign we were really honored as it allowed us to create material which was in line with the rest of our creative output. We feel really lucky because the client really understood our ideas and allowed us to adopt our style across the campaign”. As for the future Koln Studio remains true to their values.“Our aim is to maintain the hunger and curiosity we had when we first started the studio to keep growing, working and learning. We would love to be able to continue working for our City but also seek new clients of this scale in Spain or around the world, to allow us to develop as a studio”.